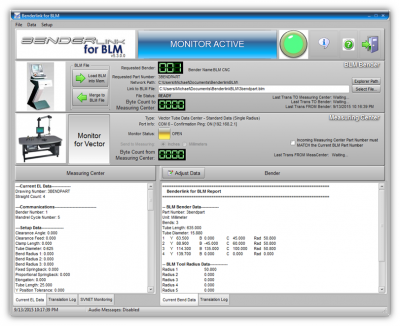 This software is designed to enable communication with BLM VGP-based benders. 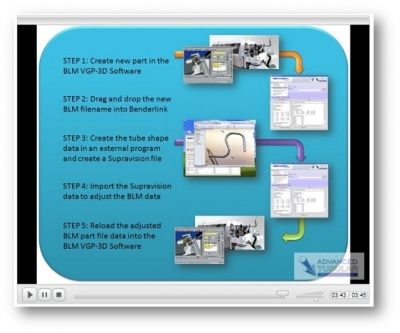 3 - Import data from Solid Modeling software like SolidWorks using Benderlink for SolidWorks. Download an applications datasheet for the AICON and BLM Benders. 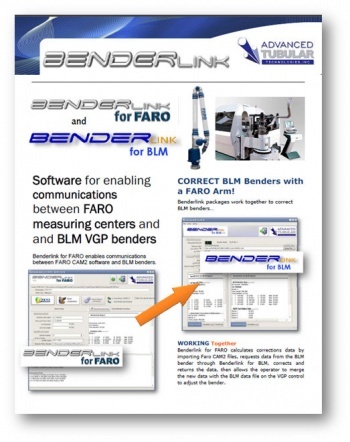 Download an applications datasheet for the FARO Arm and BLM Benders. 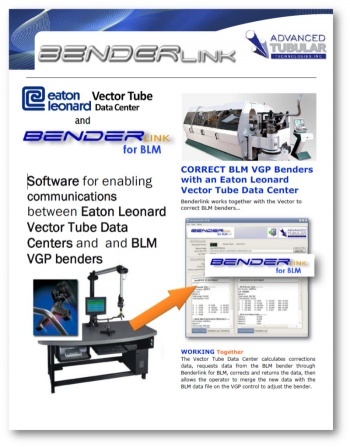 Download an applications datasheet for the Eaton Leonard Vector Tube Data Center and BLM Benders. Download and view videos that show how Benderlink for BLM works. 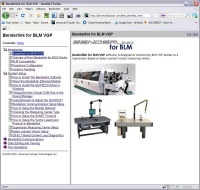 This video demonstrates how to transfer SolidWorks data to a BLM VGP-3D control. This page was last modified on 21 August 2017, at 13:56.